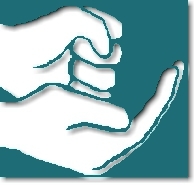 The Minnesota Chemical Dependency Program for Deaf and Hard of Hearing Individuals is an intensive outpatient chemical dependency program with lodging located within the University of Minnesota Medical Center, Fairview, at the Riverside campus in Minneapolis, Minnesota. Specializing in treatment for Deaf and Hard of Hearing persons, The Program has been providing services nationally since 1989. Located at 2450 Riverside Avenue South, Minneapolis, MN 55454.
more information or to start the admission process.